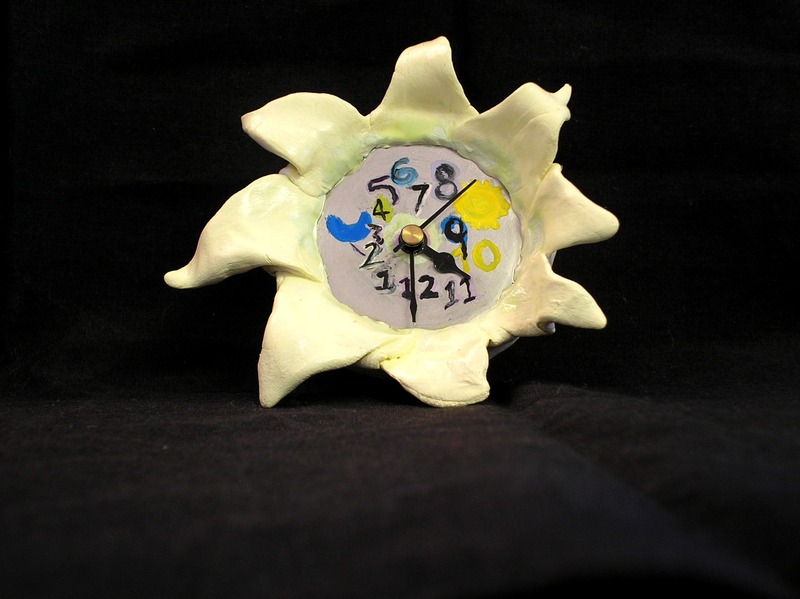 Sunflower Kooky Clock: Make a Clock with Clay and a Tiny Tin. Hung up on time? Set this funky clock on your desk as a reminder to lighten up! I originally created this clock as part of the Tiny Tin Challenge and have been using it as my desk clock ever since! Materials are readily available at your local craft store. You can complete this project in an afternoon (depending on the drying time for your paint). To read the original post and access the other Tiny Tin participants visit A Ponderance of Things. Reassemble clock onto the tin cover. Depending on your sculpture you may need to trim the clock hands. (Note: reassembling the clock may require realigning the clock wheel mechanisms).